Ranking the top 5 moments from “Supernatural” season 13 episode 8: What’s in the vault? 5) The new cross-roads demon tries to make an impression. Dean receives a cryptic phone call from this demon that he has something Sam and him will need to find Jack. They take the bait and meet him at a diner where there is a freshly baked slice of heavenly cherry pie waiting for Dean. This demon has done his homework for sure as he convinces the brothers to work for him to retrieve a vault that he desperately needs. Dean demonstrates a lot of self-control and hilariously waits for the demon to leave before digging in to his favorite food. Sam and Dean haven’t trusted a demon since Crowley and they are not about to start now but need to figure out a way to still get what they need to find Jack. 4) “Hey Winona, the 90s called and they want their shoes back.” After much discussion, Sam and Dean decide to go on the heist with the help of a mortal we later find out is named Alice and another demon. Alice is able to break into safes but it is unsure what her motive is at this point. Dean decides to break the ice by teasing her about her fashion sense, but the two then bond over his favorite old caffeinated drink, “nerve damage.” While Alice is weird and awkward, she seems to appreciate the company of Dean and it makes us wonder if Dean does really care about others after all. He has been extremely negative lately about their purpose and all they have had to deal with along the way. It’s nice to see him smile and take a moment to connect with someone even if it is on a minor level. 3) Dean is a “vault compass.” Dean is needed on this heist because he has been to hell and back and his blood is the key to opening up where the vault is held. The demon begins chanting and Dean rolls his eyes at the thought of something magical happening here, but he begins being dragged off as if by a magnet while gripping his flash-light tightly. Alice and the demon follow Dean as he treks through the property against his will, but adds for some laughs along the way. Dean’s reaction to opening up the vault later is very amusing as well, as he cringes and squirms through the one small prick on his finger. Sure he can fight the most terrifying forces of heaven and hell, but gets queasy at the idea of giving some blood. It reminds us why we have come to adore Dean over the years, keeping the episode light and fluffy with just the right amount of mystery. 2) Sam has a good idea on how to get through the Indiana Jones like booby-trap. The immortal guarding the vault is not about to give up any secrets to the brothers and it is clear that the algorithms and design of the vault will lead to an unwanted arrow to the head. Dean seems confident they can just “wing it” but Sam reminds us why he is the logical one in the family. They strap the immortal to a chair and push him through so that he takes the hits from all of the arrows. Good thinking Sam! 1) Sam, Dean, and Alice do the right thing and break the deal. 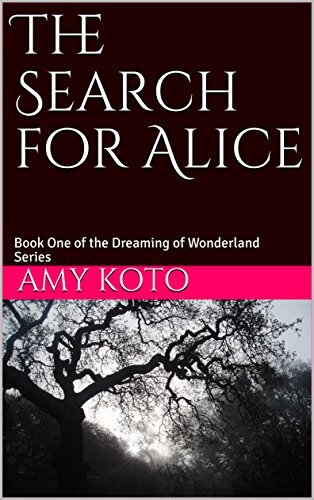 Alice has revealed that she sold her soul and made a deal with the cross-roads demon, but she is not a lost hope. Once it is revealed that the cross-road’s demons bones are inside the trunk, they realize that it is not the greatest idea to just turn this over to him. He holds Alice at knife-point and Dean trusts her enough to grab the lighter and set the bones on fire to rid the world of the cross-roads demon. Dean later tells Sam that it felt good to save someone again and Alice is freed from her deal to start a new life. Dean tells her to “stay weird” revealing that he is ready to make friends and embrace his destiny again. Saving innocents and helping people does truly make a difference. Welcome back Dean! I hope you enjoyed the list and feel free to post your own thoughts and comments on Supernatural below. Happy viewing! Previous Previous post: My top 5 questions from “Riverdale” season 2 episode 7. Theories and spoilers ahead. Bobby pins required.